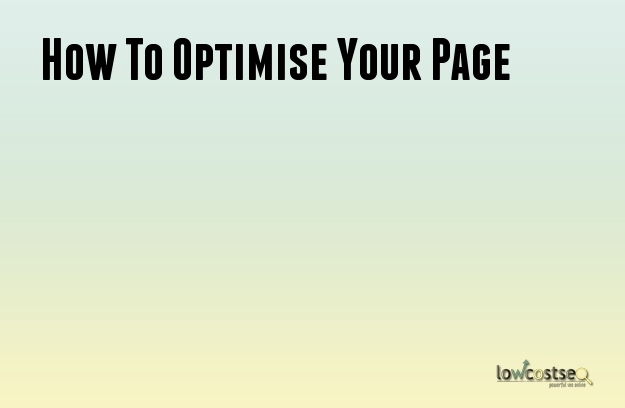 When it comes to creating great, affordable SEO packages, knowing how to optimise a page is important. Yet, like many things in the SEO world, it’s an ever changing process and some areas can often be overlooked. Here are 3 important areas to consider when looking at any page. While there are much more in-depth ways to optimise your pages, these methods represent some of the biggest and most important areas in today’s SEO landscape. The right title makes a big difference. This needs to be both gripping for the reader and useful for Googlebot. Your title needs to include your target keyword and make it clear what the article is about. If you can’t do these two things in one title, then something needs to change. Similarly, you should also try and include the keyword in some of the H2 subheadings or sub-titles. Google often looks to these when searching. Putting the keyword here, then, informs Google that there are areas of text that are specifically about this topic, helping to improve your page ranking under the right queries. Other than including the keyword in the main title and potential subheadings, what else do you need to do? Well, many people would suggest putting the keyword in the first 100 words. In fact, this is one of the basic optimisation techniques. The reasoning for this is that, just like H2 headings, this is an area that Google targets quite highly. From a readers point of view, it also reminds them that, yes, this article is addressing their original search query. Of course, it’s quite common these days to use meta descriptions to help provide a blurb or abstract for your article. This is perfectly fine, but the same rules apply. A meta description that doesn’t showcase the keyword won’t work well with Google. You should try and include this in the first 160 characters, as this is the typical length that Google will display for meta-descriptions in-browser. Finally, people love to share. The easier it is for people to share your content, the more likely they are to do so. It takes little effort to set up widgets and buttons for Facebook, LinkedIn or Twitter, yet they work wonders. This saves people having to send their own messages or create their own short URLs. Even a few more shares helps to spread your content, and its link juice, to new audiences.